The UN Secretary-General-designate, António Guterres, on Monday, December 12, took oath of office as the ninth Secretary-General of the UN, the News Agency of Nigeria reports. The President of the General Assembly, Peter Thomas, administered the oath to Mr. Guterres in the presence of the 15 members of the Security Council and other members of the General Assembly. The General Assembly earlier paid glowing tributes to outgoing Secretary-General, Ban Ki-moon, for his exceptional contributions to the UN and the global community. The outgoing Secretary-General will step down on December 31, 2016, while Mr. Guterres will assume office on January 1, 2017 for a five-year term. 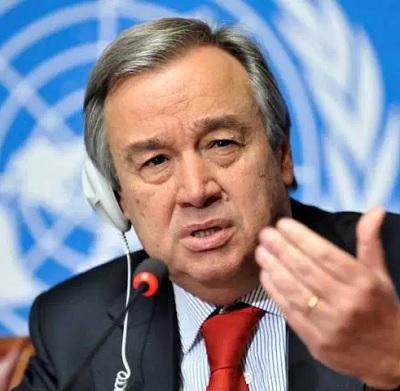 Mr. Guterres, 67, was the Prime Minister of Portugal from 1995 to 2002, and the UN High Commissioner for Refugees from June 2005 to December 2015. He was formally appointed by the General Assembly on October 13 in what was the culmination of historic process member states set in motion late last year. The historic process for the selection of a new UN Secretary-General, traditionally decided behind closed-doors by a few powerful countries, for the first time in history, involved public discussions with each candidate campaigning for the UN’s ninth chief. The “informal briefings” between the candidates, UN Member States and civil society representatives kicked off on April 12 when the first three candidates presented their ‘vision statements’. They answered questions on how they would promote sustainable development, improve efforts to create peace, protect human rights, and deal with huge humanitarian challenges should they be selected to lead the UN. In October, thanking the Assembly for appointing him as the next secretary-general, Mr. Guterres said he was grateful to the member states for their trust in him, as well as for the transparent and open selection process they undertook. The Secretary-General-designate said: “I believe this process means that the true winner today is the credibility of the UN. Monday’s ceremony, at which Mr. Guterres would take the oath of office, would also see the 193-member General Assembly pay tribute to outgoing secretary-general, Ban Ki-moon, for his exceptional contributions to the work of the UN over the past decade. In the last couple of days, patriotic Nigerians have noticed the unpatriotic and distasteful campaigns by some masked forces and unscrupulous elements within and outside Nigeria in favour of the Islamic outlaws, Boko Haram Terrorists (BHTs). The cyber space and traditional media hype is revived and craftily moulded to suggest the return of the BHTs in Nigeria’s Northeast zone, proven not to have only been defeated, but decimated to the level of powerlessness to visit mayhem on targets. One is taken aback by this clear and deliberate propaganda and the conscription of some segments of the media into this devilish plot and treacherous game. More to it, the stampede of Nigerians and the rest of the world with the erroneous belief that sensational news flashes which tend to enforce public perception that BHTs are not just back to the trenches in the liberated communities of the Northeast, but have also overwhelmed the dogged Nigerian soldiers is white lie. But I am happy about the prior knowledge of the Nigerian army of the fresh antics by terrorists’ internal and external collaborators.’ Months back, the Chief of Army Staff (COAS) Gen. Tukur Buratai decried this trend, expressing concern that defeated BHTs and their sponsors have resorted to the cyber space and the media, to give the terror war a new face. The gimmick is designed to frighten Nigerians with preachments on a non-existent potency of a terror sect, already lavishly devoured by the Nigerian military. A few days earlier, discreditable media reports, with no verifiable attributions overtly lied about BHTs’ ambush of soldiers stationed at Gashigar, in Borno state left scores dead. It also said, the Nigerian army is still searching for the whereabouts of 85 soldiers reportedly missing after the attack from terrorists who had superior fire power. The carefully concocted lies have continued to be pushed to the public at intervals. Nigerians have been told troops in the battle field have pending or unpaid two months allowances. But none of these BHTs agents write about unpaid salaries because it would easily be confirmed. The same agents disseminate fake news to the effect that the terrorists have re-foisted their flags in some communities in the Northeast, but also fail to name the areas reclaimed by BHTs. Nigerians are not unmindful of the intent of such propaganda, which is mainly designed to instill the phobia of terror in the minds of Nigerians, rubbish the excellent performance of the Nigerian military in the terror war and discouragingly dampen the spirit of troops fighting insurgency. I am convinced that Nigerians are not distracted by these hateful campaigns of calumny against Nigerian soldiers and the nation. The records of the performance of the Nigeria military, particularly soldiers who have conquered terrorists and brought respite to afflicted communities cannot be lessened by this abhorrent propaganda by agents of terrorists. It is important to recount that in the last one year, soldiers under Gen. Buratai have reclaimed 14 LGAs in Nigeria formerly under BHTs occupation; destroyed their demonic insignias; freed over 20, 000 BHTs abductees and terrorists or their collaborators are being massively arrested for prosecution. Soldiers’ played significant roles in the liberty now enjoyed by some captured, but released Chibok girls and ensured almost zero-level incidents of attacks on communities in the Northeast and other mega cities in Nigeria. Nigerian soldiers have earned accolades and international recognition for these rare acts of gallantry in the warfare on terrorists, as the out-going UN Secretary General, Mr. Ban Ki-Moon has lauded President Buhari. Again, one compelled to stress that the increased military presence in the Northeast; the re-stocking of the Nigerian army and other arms of the Nigerian military and the unyielding spirit of soldiers boosted by prompt payment of salaries and allowances give no room to the freeness of terrorists to operate in the country, as the agents are canvassing in the exaggerative propaganda. It has been evidently, a harvest of victories against terrorists and despite the economic recession, the Federal Government of Nigeria (FGN) under President Muhammedu Buhari is not prepared to relent on his pact with Nigerians to end the scourge of insurgency and other malignant acts of terror in parts of the country. The funding and re-equipping of the Nigerian military with latest arms and ammunitions has been the priority of Buhari’s administration. The support of the international community like the USA and Britain among other nations, with weapons and military intelligence support have fortified Nigerian soldiers enough against any display of sophistry against them by terrorists. Recently, the Minister of Defence, Brig.-Gen. Mansur Dan-Ali (rtd) disclosed the acquisition of additional war ships by the Nigerian Navy. The COAS, Gen. Buratai in the week just ended inaugurated the newly constructed headquarters of the 331 Artillery Tactical Forward Operation Base (FOB) at Buratai, Biu LGA of Borno to strengthen and fast-track soldiers’ response to threats and any unforeseeable aggression of terrorists. Nigerian soldiers are rated as one of the best ground soldiers in the world as records have verified this performance in peace keeping operations under the auspices of the United Nations (UN) or ECOMOG in Africa and other embattled countries of the world. We also know that BHTs had a field day against Nigeria and her citizens because the morale of troops in the warfront was dampened because of the poor leadership of the relieved Service Chiefs. All these shortcomings have been corrected or resolved and Nigerian soldiers are confronting the insurgency professionally and triumphantly. 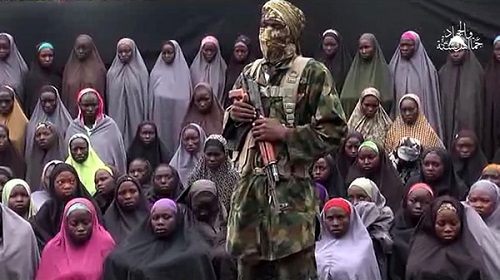 BHTs agents merely wish that Nigeria remain under the spell of terrorists, but it is practically impossible now. There is no how Nigerian soldiers operating under these sound and supportive conditions would be subdued by terrorists as intoned by their agents, through false propaganda. I join the league of other patriotic Nigerians to say Nigerian citizens need not live under the phobia of terrorism anymore, through the fake illusion of strength and the scare-tricks terrorists’ agents bestow on the outlaws. The sensational hoopla about the daring exploits of BHTs has no iota of truth and Nigerian soldiers have renewed their vow, now more than ever before, never to allow terrorism flourish in any part of the country. And no unpatriotic scare-monger would intimidate the nation again. Like other Nigerians, we believe in this progress, so it shall be, in the name of God Almighty, Amen!